It’s well known that applicant tracking systems filter through candidates based on the keywords within their resumes. This is one of the biggest reasons why you should never submit generic resumes. Always tailor your keywords to each opportunity. Need a hint for what keywords you need to include? Comb through the job description, and select the ones you see reoccurring. Regardless if you work in the financial industry, numbers are an amazing way to communicate productivity and success. Which sounds more impactful to you? Yes, we voted for the second bullet, too. Numbers make your day-to-day tasks and accomplishments feel more concrete, so add them anywhere and everywhere you can. That part-time lifeguarding job in high school might have been fun and rewarding, but do you still need it on your resume 12 years later? Probably not. Take a strategic look at your resume, and delete anything that’s more than 10 years old or isn’t applicable to the job you want. Furthermore, make sure you comb through your resume for any grammar or spelling errors, because many an applicant has been taken out of consideration for a position due to these silly mistakes. After you look through it, ask a trusted friend, family member or mentor to be your second set of eyes. 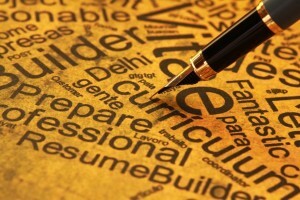 It may seem trivial, but the way a resume looks can be very important. You might think you need to cram as much as you can into this document, but if it’s difficult to read, hiring managers won’t want to bother. Make sure it’s in a basic font, like Times New Roman, Arial or Calibri, and between 10-12 in size. Also, remember that white space is good on a resume! Hiring managers like to be able to write notes during interviews and screenings. Finally, only use colors and unique formats if you’re in a creative industry and it feels right for the position. Just because you don’t have the titles or years of experience doesn’t mean your resume can’t be memorable! Remember this advice, and please share further insight in the comment section below. This entry was posted in Job Seekers and tagged Information to Include on Resume, Resume Advice, resume design, resume keywords, resume tips, writing a great resume, writing a memorable resume. Bookmark the permalink.